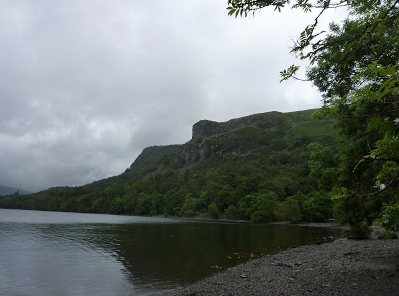 After the previous hard day we both decided to have an easy route on this trip so we decided to walk around Derwent water. Derwent water is one of the main tourist destinations in the lakes and has the lovely town of Keswick at the North end of the lake. At nearly three miles long it makes a great walk around with an easy path to follow. One of the main reasons for this trip was we both wanted to look at Ashness brigde. 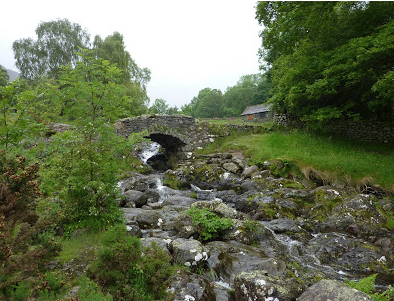 This old packhorse bridge gives you one of the lakes most visited and beautiful views (in good weather). The view towards Skiddaw to the north is often found in lakes tourist books and other guides. The day we got here, the lakes were full of low cloud so we missed some of the great views. 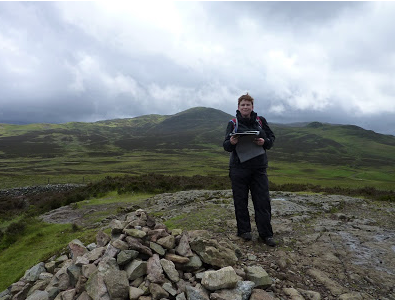 W e then had to climb sharply to find walla crag, at 1243ft it made an easy climb. Despite the short height the view point from the top gave great views over looking Derwent water and the many islands it contains. The path around this point is a bit boggy but it makes an excellent and easy climb to the summit. 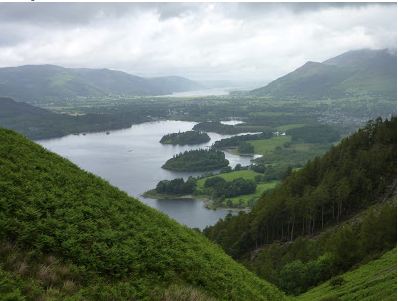 You can also walk this route from Keswick for a gentle half day or evening walk. From this point we then looked for an easy way to the the Top of Bleaberry fell, that we would make on the next days trip, the weather was a little grim so we decided to make our way back to the campsite.